NORTH PALM BEACH, Fla. -- Palm Beach County, the largest county in Florida, is the linchpin between the "Treasure Coast" and "Gold Coast" of south Florida. With Vero Beach to the north and Miami Beach to the south, Palm Beach is directly in the middle of the two areas whose names are literally derived from the Spanish "Treasure Fleet" that wrecked in the 1715 hurricane and spilled its gold all along the shorelines. North Palm Beach Country Club plays along the Intracoastal Waterway. Figuratively, of course, both "coasts" are known for their paradisiacal winters, country-club lifestyles, aquatic recreation, fine dining and shopping malls. The real wealth of Palm Beach County, for those of us with golf bags in our trunks, is that it has more golf courses than any other county in the United States. Two of Palm Beach's semi-private treasures are North Palm Beach Country Club and Atlantis Country Club. North Palm Beach Country Club, owned by the Village of North Palm Beach, opened in 1963 to excellent reviews but needed a Jack Nicklaus facelift 43 years later. He turned the muni that borders the Intracoastal Waterway into both a links-style layout and only one of two municipal Nicklaus Signature courses in the country. Nicklaus charged the town fathers $1, a gift to the county in which he lives, and the check can be seen hanging on the wall in the grill room. "It was a total overhaul," said Casey Mitchell, first assistant professional at North Palm Beach. 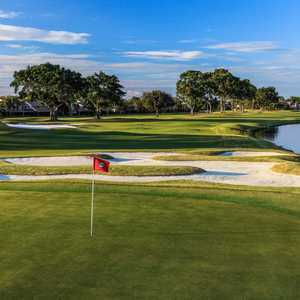 "The course is located atop the Seminole Ridge, and Mr. Nicklaus moved a lot of earth to give the tees, rolling fairways and greens impressive elevation differences. "He buried a few elephants into the mounding of his large Mini Verde Bermuda greens, which currently Stimp at about 12. He created or reshaped sand traps, 84 in all, to protect the greens and accent the fairways. It is a unique Florida presentation, and it is still walkable." The critical acclaim came quickly. Golfweek ranked the course as the no. 1 municipal in Florida, no. 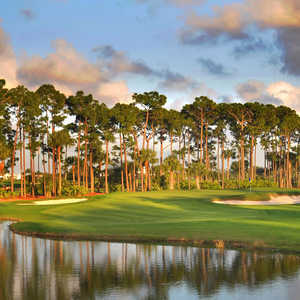 27 in America and one of the "Top 10 courses you can play in Florida." The Palm Beach Post named it the no. 1 public course in Palm Beach County, AAA Magazine called it a "must play," and Rolex rated it as a "World's Top 1,000 Golf Course." 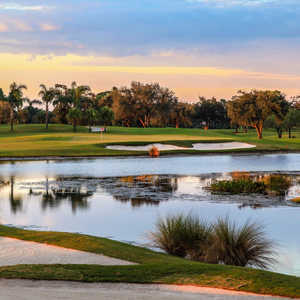 North Palm Beach is a thinking player's course as strategy is important both off the tee, where proper ball placement will set up the next shot, and around the green, where the emphasis on the short game becomes paramount. It is playable for all skill levels with its six sets of tees and is woman and junior friendly. Whereas North Palm Beach C.C. is city owned and has the feel of an Irish or Scottish setting, Atlantis Country Club in the city of Atlantis, just south of Palm Beach International airport, has been privately owned since its inception in 1972 and has the feel of a North Carolina Sandhills course. Three generations of the Kintz family have personally owned and operated Atlantis, and the current generation, under the watchful eye of Director of Golf Todd Leckrone, has just completed major renovations. "We knew we had to update the original layout, and we knew we had to emphasize the stately mature oaks and pines that both outline the fairways and give our course its unusual appeal," Leckrone said. "We have laser-leveled the tees and sodded them with Celebration grass, and we have refigured, resanded and edged the 80 bunkers, adjusting those greenside for optimum playability. "The greens were replaced with Champion Ultradwarf Bermuda and run around 10 on the Stimpmeter, and many were resculpted to reduce false fronts and maximize pin placements. Players can keep the ball 'on the ground' around the greens and still score well. We have also created a new patio by the first tee and ninth green, where players can relax and watch the action unfold and where we can hold functions." Atlantis Country Club, awarded four and a half stars by Golf Digest, is an excellent value for the condition of the course and for the challenge of the layout. "It's the closest a golfer can get to a private club without the costs," Leckrone said. "We want our guests to feel comfortable here, and we want them to want to hang out here." As with any first-class club, both venues offer well stocked pro shops staffed by PGA Professionals who are skilled in instruction, club fitting and geniality. Both have ample practice areas, including driving ranges and putting and chipping greens. The grill rooms and dining rooms serve appetizing fare at reasonable prices, and the facilities also sponsor banquets, weddings and other functions. Leigh MacKay is a freelance golf writer who specializes in features and travel reviews. A member of Golf Writers Association of America, Golf Travel Writers, and International Network of Golf, he writes a monthly column, "Celebrity Golfer," for New England Golf Monthly and splits his time between Port St. Lucie, Fla., and Plymouth, Mass.